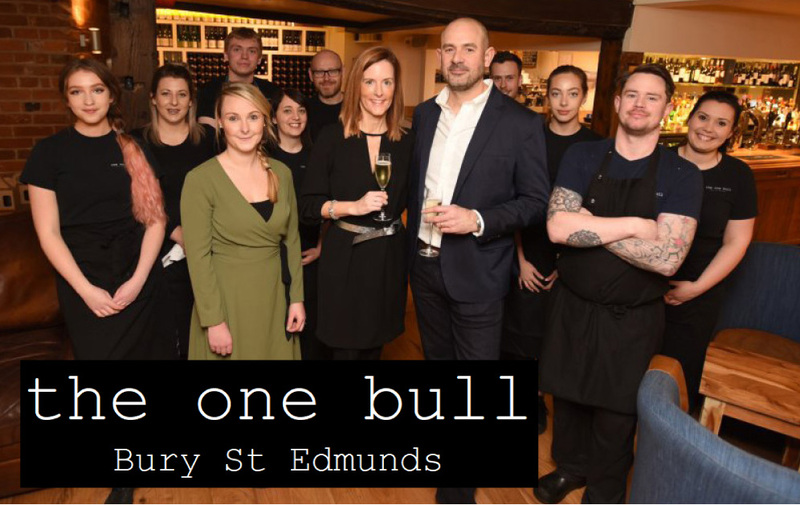 I am certain that it didn’t escape your attention that The One Bull had to close back at the end of September 2017 following an unfortunate fire next door at Cycle King which left the popular pub with devastating damage both in the pub and in the upstairs flat. Despite initial hopes from owners, David and Roxane Majoram, that it would only be closed for a few weeks, the reality was very different! Following 4 long months with the family, who live upstairs, having to be relocated to a local hotel and then a caravan, the pub was finally ready to open its doors again to its patient customers on Thursday 1st February. We were lucky enough to go along for a drink and some delicious canapes ahead of the masses and join some of the faithful customers at their pre-opening event. The pub has managed to retain its classy interior from before the fire with freshly painted walls, new flooring and a few tweaks here and there. With the welcoming staff and the same ethos of offering fresh, seasonal, regional food, an award-winning wine list, their own Brewshed ale and even an excellent cup of coffee, the town certainly missed the Angel Hill based pub. Owner, David Marjorm said ‘It’s been a tough time but we are almost there now and we wouldn’t have got here without the help and support of a lot of people – staff, friends, family and customers – all of whom we’d like to thank’ The majority of the staff have remained faithful to the pub and appear pleased to be back at work at last! With a family friendly feel during the day and a more grown up atmosphere in the evening, it is clear the David and Roxane have thought hard about their customers and offer an excellent menu to ensure you never go away disappointed. On the evening of the pre-opening event, it was lovely to see the whole family circulating amongst the guests. Roxane Marjoram said ‘It was a huge relief to be back, we didn’t care that the flat wasn’t totally finished, we just wanted to be home for Christmas’.